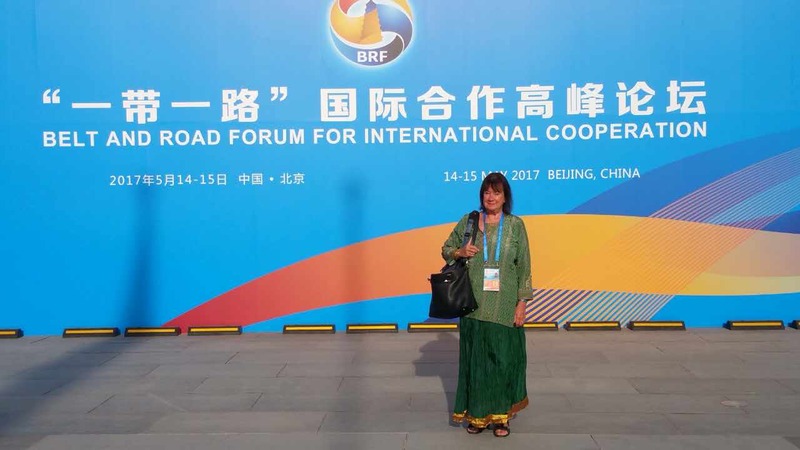 BERLIN, May 14 (Xinhua) — China’s Belt and Road Initiative will continue to grow and become a true world land bridge, Helga Zepp-LaRouche, president of the Schiller Institute think tank, has told Xinhua. At first some countries thought the initiative would bring advantages to China only, then they realized it was about win-win cooperation among all participating countries, she said. For Africa and other developing countries, it is the first time they have been given access to advanced technologies in the framework of the initiative to fight poverty and boost development, said the expert. The initiative also allows other countries to “replicate the Chinese economic miracle of the last 20 years,” she added. She also expressed the belief that the Belt and Road Initiative plays an important role in promoting the development of human civilization. Through the initiative, all participating countries will also have a chance to learn about each other’s cultures and traditions, she said. “I am sure it (the initiative) will continue to grow and become a true world land bridge, in a modification of an old slogan: no country will be left behind,” LaRouche said.